These cute stacking blocks come unfinished and ready for your creativity. 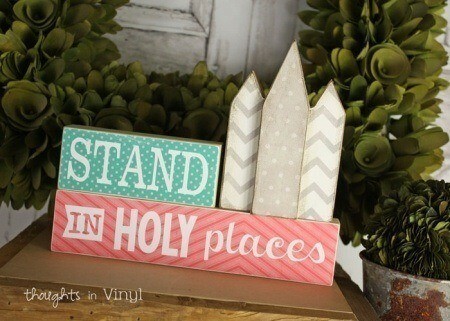 You can paint the blocks or modpodge scrapbook paper on to the wood. Overall size of these blocks is 4 1/2" tall x 10" wide.